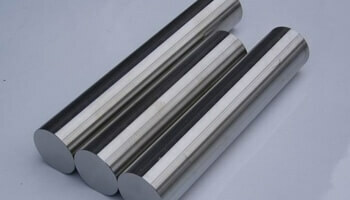 Sangeeta Metal is one of the leading Manufacturer, Supplier and Exporter of Nickel 200 Round Bars that are actually manufactured from High Quality of Standard Raw Materials andare designed as per with national and international standards.Alloy 200 Round Barsoffer corrosion resistance in reducing and neutral media as well as in oxidizing atmospheres provided that the oxidizing media allows the formation of a passive oxide film. This oxide film accounts for the materials in UNS N02200 Bars gives excellent resistance in caustic environments. WNR 2.4066 Round Bars is extremely resistance to caustic alkalies up to and including the molten state.We offer these Nickel Alloy 200 products in custom-made shapes and sizes as per the requirements given by our clients, and that too at an affordable and market leading prices.